Iran is facing its harshest drought in the last 50 years, and nearly half the country's population will soon face water shortages, according to the Energy Ministry. 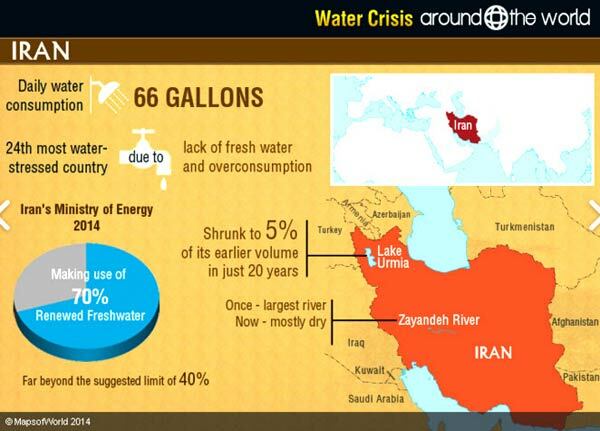 "334 cities with 35 million people across Iran are currently struggling with water stress," said Energy Minister Reza Ardakanian April 21 in a speech to top members of President Hassan Rouhani's administration. Classifying cities in three different categories, Ardakanian explained, "165 cities with 10.5 million people are in yellow, 62 cities with 6.8 million are in orange, and 107 cities with 17.2 million residents are in a red alert situation across Iran." 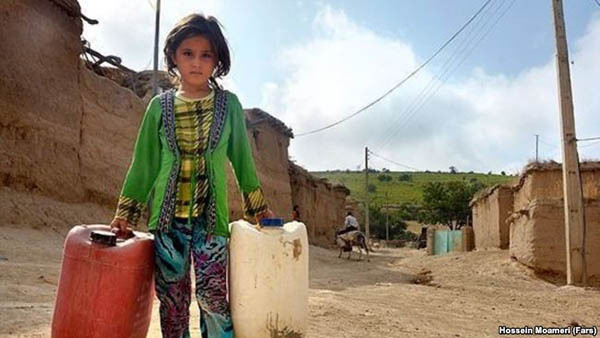 "The water shortage is currently Iran's most important humanitarian challenge," said UN Development Program Resident Representative in Iran Gary Lewis. The regions worst hit by the drought are the provinces of Isfahan, Baluchestan, and Sistan. One Iranian MP described the situation in the later province as a "danger threatening Iran's national security." In addition to the lack of precipitation, Iran's water shortage is compounded by poor management of water resources, critics say. Even Ardakanian says changing water consumption practices is a key step in ending the water shortage. "Revising the ways water is consumed in Iran is even more important than discovering new water resources in the country," said Ardakanian, cautioning that failing to adapt consumption practices could lead to water rationing and power outages. Water experts say years of mismanagement have lead to many lakes, rivers, and wetlands drying up across the country, and warn that beyond the current acute crisis, Iran's water shortage will have serious long-term economic and social consequences. A 2017 United Nations report warned, "Water shortages are acute; agricultural livelihoods no longer sufficient. With few other options, many people have left [their homes], choosing uncertain futures as migrants in search of work."